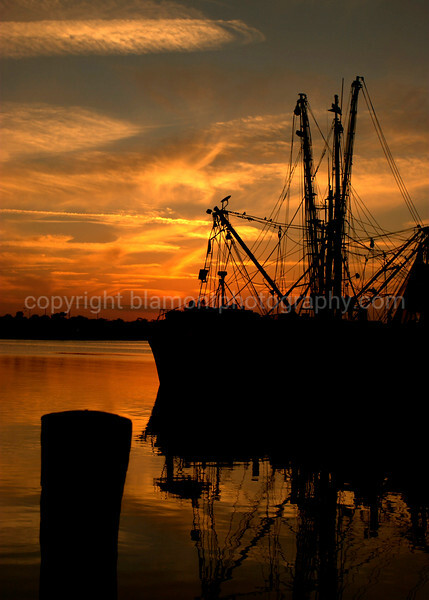 "Supper's Ready"... A docked Shrimper on the Halifax River, Daytona Beach, Fl. @ sunset... I was dining on of course, shrimps n oysters n fish, Oh My !-O...Just after the Coca Cola 300 Race in 2-08. #1 of 2 Color. "Sundown dazzling day gold thru my eyes" Lyical passage by John Wetton; From the song Starless...King Crimson's Red album.